Do you want ship a bed, a table, a wardrobe, an armchair, a 2 or 3-seater sofa to Australia from the UK? As you probably know your furniture will take up most space in a container. Would you like to find out what to do to reduce the cubic volume of your furniture transport to Australia to minimize the quote value? We are the experts and will advice you on all possible options! When shipping furniture you will be charged based on the cubic volume. That's why we need to know all the biggest items of furniture you are planning to ship - including garage, shed and garden items. Shipping furniture especially overseas can be very stressful for many people and requires great effort and energy throughout the entire moving process. We will make every effort to ensure that the burden associated with your household furniture move is reduced to the absolute minimum. For many years we have been gaining experience in the international furniture transportation making every effort to ensure that our services are carried out in a fair and professional manner. For all our clients we will find the right solution. We can ship just one 2 or 3-seater sofa or the entire content of your house including double beds, wardrobes, kitchen tables, garden, garage and shed items. 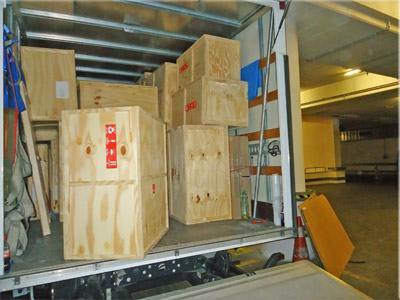 For smaller shipments we offer part load container shipping and for bigger moves 20 ft container shipping. For those who are looking to ship all furniture from their at least 5 bedroom house we offer 40 ft container transport. Please note that your furniture can be also shipped with your car in the same box. We can drop off the container so you can pack and load your furniture on your own or our expert packers and movers will do it for you. The droppings off and collecting of the box require special equipment which can make your move a bit more expensive. That’s why we have modern vehicles, fitted with a tail lift to load and transfer your furniture and other goods to our depot safely. If you wish we can dismantle the larger furniture to reduce their cubic volume which will make your furniture shipping cheaper. Of course at the other end we will reassemble everything so you do not have to worry about it. Any pieces of furniture that you no longer need we can dispose of, recycle, buy or sell on our second hand and used furniture auctions. We provide special services such as international furniture shipping from the UK to Australia. We have shipped many unusual items like pianos, safes, fireproof cabinets, grandfather clock or sculptures. 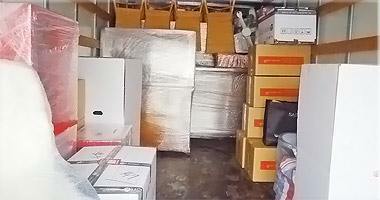 When organizing furniture transport and removal services,we always try to eliminate so-called. 'Empty runs', which allows us to offer queen-size bed, armchair, kitchen and dining tables shipping services of the highest standard at affordable prices for everyone. This is particularly important in case of overseas furniture freight forwarding, where the distance is the main factor in determining the final shipping price. All furniture transported and shipped from the UK by our international moving companies should be covered to the amount of £200,000 (please check your shipping quotes if this has been included). Our area of operation covers the whole United Kingdom – domestic furniture shipping from England, Scotland, Wales and Ireland to Australia. We efficiently and quickly move apartments, houses, businesses and enterprises. We offer very attractive prices and provide honesty, integrity and full commitment to every job. We guarantee a friendly atmosphere and high manners of all our employees. We encourage you to familiarize yourself with the details of our cheap furniture shipping from London, Birmingham, Edinburgh, Bristol and other UK cities to any destination in Australia including shipping to Sydney, Melbourne, Perth or Brisbane. There is no furniture that can't be shipped by us! We can take care of your fancy couch, wooden items, cupboard or wardrobes, arm chairs, bookcases, single bed with the frame and mattress and ship it to Australia. We offer our services to both individual and businesses customers. We are ready to take long term cooperation on favourable terms. We provide a comprehensive shipping of furniture to Australia from UK, from all over the country and Europe. 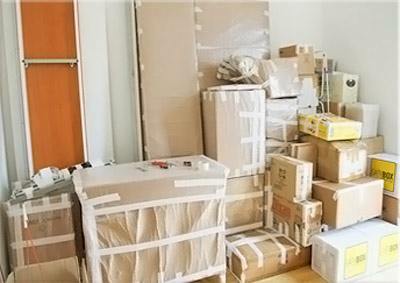 We provide packaging, the necessary wrapping and padding materials for safe moving. If you are looking for furniture shipping firm that can relocate you fast and cheap we would like to present our offer to you. When carrying out the transportation of small and large furniture from the UK we always have in mind the safety of the products entrusted to us. As a result no furniture will be damaged during the shipment. We guarantee the highest quality services at affordable prices for everyone - sea shipping for those who want to send furniture using the cheapest method and air shipping for those who do not have a lot of time and are in hurry. We can can collect and move your chairs, dressing table, TV stand, coffee tables, dresser and any type, size and amount of cupboards from anywhere in the UK. We remain at your disposal. Transporting furniture abroad from United Kingdom is what we do the best. We have many years of experience in this field and we have modern vehicles, a reliable network of furniture shippers to carry corner sofa, TV-stands, display units, cots, kitchen, living room and bedroom furniture from UK to Australia. We move furniture of different sizes. We provide a smooth and expeditious implementation of the services included in the payment for the furniture transportation, as well as free property survey. Our staffs are excellent professionals. We will make every effort to meet all of your expectations. How to ship furniture to Australia? How to pack and protect bed frames and mattresses? Can I ship fridge, washing machine and other white goods to OZ? What's the best way of shipping furniture, beds, sofas, tables and other furnishing to Australia? What's the cost of shipping furniture? How to move to Australia?